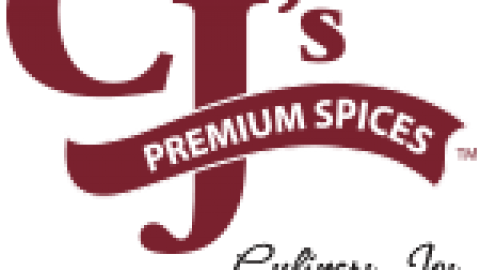 CJ’s Premium Spices is very excited to announce new retail packaging along with Gluten-Free certification by GFCO. 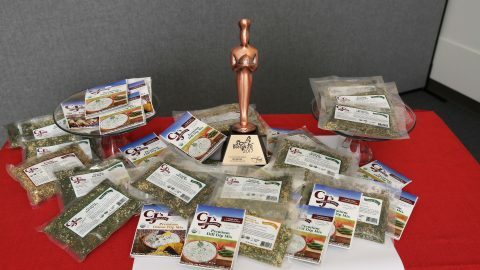 Same great tasting products using clean label Organic, Gluten-Free, Kosher ingredients. All product name changes from “Premium” to “Organic” which better reflects our quality ingredient contents. Our certifications provide transperancy to our consumers! 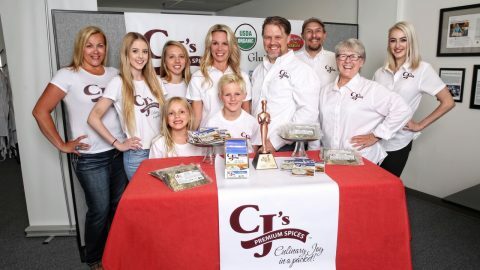 We strive to provide the best culinary blends in the market which make your final products a Culinary Joy in a Packet. Friends and Family will be asking you for the recipe! 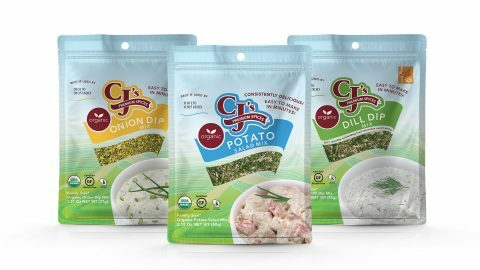 Currently, CJ’s Organic Potato Salad Mix, CJ’s Organic Dill Dip Mix, and CJ’s Organic Onion Dip Mix is disrupting the spice and seasonings industry. 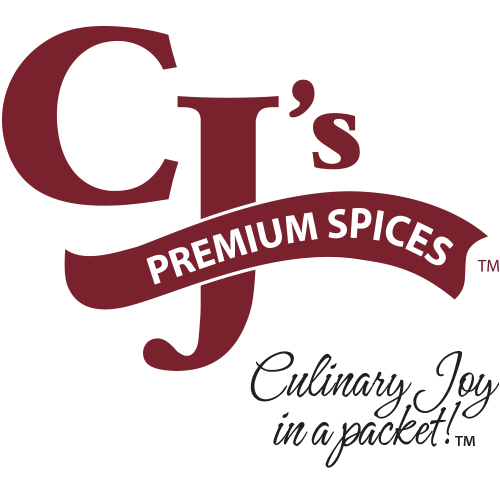 Providing “non-pulverized” blends that don’t need additional “processing aids” to manufacture is our mission; CJ’s Premium Spices products are not a “powder in a foil packet”. We are essentially scratch ingredients in a packet. Some new features of our new packets include easy open tear notches, a center punch hole for easy point of sale options, a product window to view our delicious blends and an organic package “feel” that you have to experience. 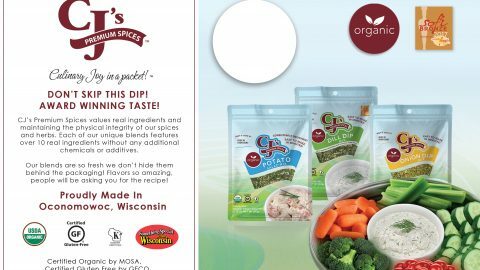 Sold in fine retail grocery stores in the Milwaukee Wisconsin area to include Sendiks Food Market, Sendiks Fine Foods, Good Harvest Market, and Albrecht’s Sentry Delafield. Additional stores throughout Wisconsin as appears on our website.